As spring begins to unfold and the outside world is once again appealing, that first step into the garden and the fading and peeling paintwork can be one of dread. Or maybe summer is coming to an end and you want to take the chance to get everything in order before the weather turns. With so may outdoor paint brands and products to choose from the whole job can seem overwhelming, so we have done the work for you with our list of the Top 7 Best Outdoor Paint Brands in the UK. Fences, sheds, furniture, decking, cladding, windows, doors… There are so many surfaces and substrates outdoors that need protecting. Fortunately there is an outdoor paint for every need, and these top 7 brands cover all your bases. Products for woodcare, metalcare, and masonry protection that protect while they beautify. Find what you need in our list below! When it comes to exterior woodcare, Cuprinol is a trusted name with the best products for protecting and decorating a wide range of substrates. 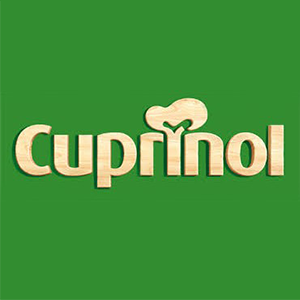 From fencing to decking, sheds to furniture, there is a Cuprinol product for all applications. Cuprinol products are long-lasting, top quality, available in a wide range of colours and finishes, and provide protection all year round in all weathers. 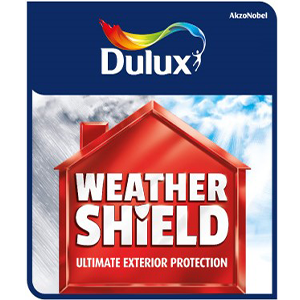 Dulux Weathershield is the renowned exterior paint line from the brand with the big fluffy dog. A specialist range of coatings for exterior masonry, wood, and metal, Weathershield paint is designed to withstand the elements while providing an attractive finish. Dulux is so confident in its masonry paints that they have a Weathershield Promise – if the paint should peel, flake or grow mould while you live in the house, they will replace the product for you. Hammerite is a world-leading brand for ultimate metal protection. Whether you need a metal coating solution to decorate, protect, or restore a metal substrate, Hammerite’s extensive range will have the product you need. They are the only dedicated metalcare coating brand. 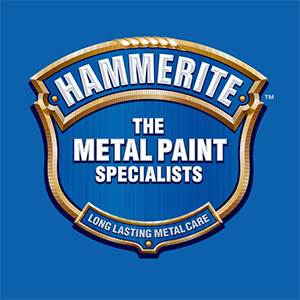 The Hammerite range includes products for radiators, gates, garden furniture, barbecues, rust treatment, and more. They are formulated to create a tough barrier to protect against bumps and knocks. Though Johnstone’s may be best known for their interior emulsions, but they also have extensive outdoor paint range. 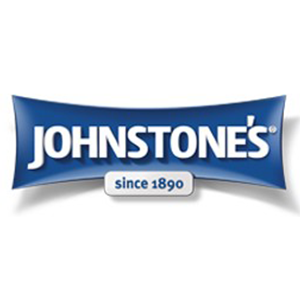 The Johnstone’s Woodcare and Johnstone’s Weatherguard lines cover everything from undercoats, gloss, and masonry to varnishes, stains, oils, and colours for outside. Fade resistant, mould resistant, reviving, restoration, hard wearing, non-yellowing, colourful, transparent, whatever your requirements Johnstone’s has an outdoor paint or coating for you. 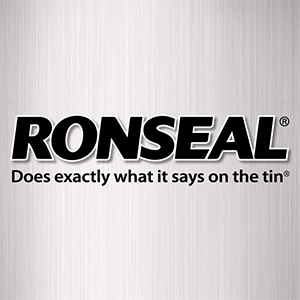 Ronseal are known for their DIY products for every task. They aim to make any job easy, painless, and quick as possible so that your house can go back to normal. Under the umbrella of Crown Paints, the Ronseal brand is a reliable and high quality option for any outdoor paint project. Products include woodstains, varnishes and paints for decking, sheds and fences, garden furniture, garden colour and more. 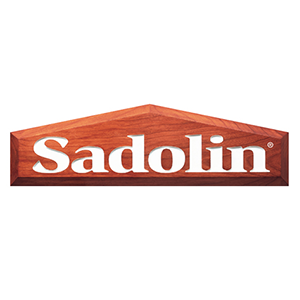 Sadolin is another name dedicated to woodcare. Their products really focus on enhancing and protecting the natural beauty of the wood products they coat. Protection, care, and treatment is the aim, so products beautify while defending the wood against the rigours of sun, wind, and rain. Their products include decking oils, decking woodstain, garden furniture stain, shed and woodshield stains and barriers, durable clearcoats, varnishes, and more. 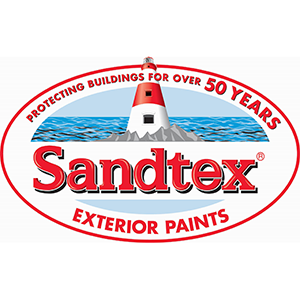 The UK’s leading masonry paints brand, Sandtex uses microseal technology to ensure that masonry surfaces are dirt resistant, breathable and waterproof. Sandtex also has lines for wood and metal, including their 10 year exterior gloss and 10 year exterior satin. Masonry, doors, windows, shutters, railings and chairs -Sandtex can coat them all. As an outdoor paint brand, Sandtex focuses on decoration that protects. The most common applications of outdoor paint take place in gardens, therefore, the manufacturers of outdoor paint brands have made sure there is a special paint for whatever you might want to paint in your garden. If there is no paint carrying the name of your application, you can always go for a multi surface / purpose solution. Here we will introduce you the most common garden paint applications accompanied by product suggestions. A wooden decking may deteriorate and grey faster than expected, especially if it is not properly protected from the influences of the weather. Even if the wood looks old and grey, they game is not yet up. Decking paint is the saviour of your decking. Also if the surface is not yet in bad condition, a layer of decking paint freshens up the looks and potentially adds a safety function with non skid additives. Ronseal Decking Rescue Paint for damaged decking | opaque finish for filling cracks and covering grey wood. Cuprinol Anti-slip Decking Stain | semi transparent finish with anti skid and algicide additives. A garden paint or varnish gives the furniture a new look. Once the decking has got a new look, you might also want to tune your wooden garden furniture to make them match the decking. Or it is not yet the time to buy new furniture, even though they could use an update. Fortunately, there are enough garden furniture paints that provide the finish and colour you want. 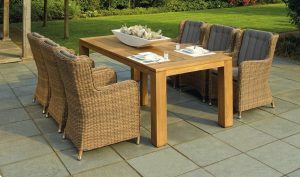 The garden furniture coatings include wood oils, opaque paints, stains and preservatives. Vertical surfaces such as fences and external walls of shed can also use an upgrade once in a while. This can be easily done by giving the surfaces new colour and gloss with fence and shed paint. When you want to protect vertical surfaces, UV-protection is of high importance due to the fact that an area of the surface may be exposed to direct sunlight for a couple of hours a day. Therefore it is crucial to use products meant for the purpose. Pigmented opaque outdoor paints provide the best protection. But what if the fence is made of metal? No worries, simply choose for exterior metal paint. The outdoor metal paints are often multi surface products which can be applied on all exterior surfaces. Our advice is to use outdoor paint especially for metal surfaces due to the increased corrosion protection of these products. You need outdoor paint also for upgrading the first impression your house provides; you can use the paint for exterior walls or giving a lick of paint to the doors and window frames. There are several outdoor paint brands that also offer products for these purposes. When you are choosing an exterior wall paint, you naturally pay attention to the colour. However, there are also three characteristics a facade paint should have: flexibility, breathability and watertightness. This counts for masonry paint as well as other facade paints for different substrates. You can also freshen up the look of your house by painting the doors and window frames with special exterior paint designed for the purpose. 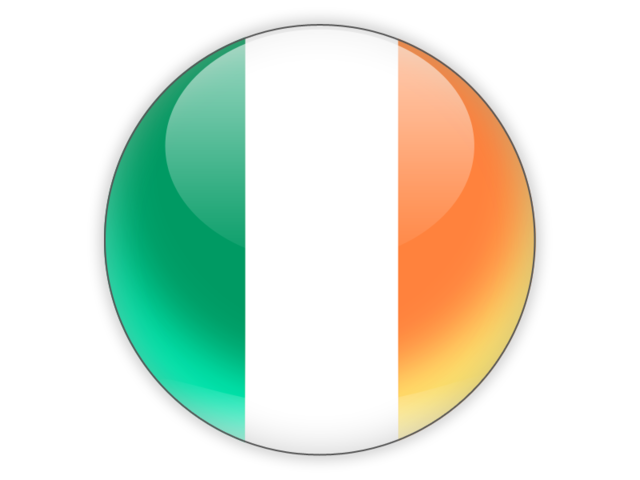 You can choose to update the existing colour or completely change it. If you wish to preserve a natural wooden look, it is also possible.